Regardless of the species you are fishing for, a maximum of 3 rods only is applied at all times, including nights and remote swims. No braided fishing line is permitted – mono only. No leaders or leadcore are allowed in whatever form. 15lb minimum breaking strain main line. The only exception for braid being used on the complex is on a marker or spom/spod rod. For the well being of the carp, no retained sacking allowed. If you need time to organise yourself to photograph a fish, please use your landing net to keep the fish in the water, whilst you get yourself sorted. It is advised to use a SPOMB for baiting your spots effectivley. Hooks – Barbless hooks only. 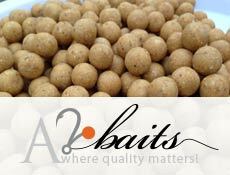 Ensure that your end tackle is safe and cannot tether fish in the event of the main line parting. All forms of Particles and Tigernuts are prohibited. Rowing boats are situated around the complex, these are only to be manned by bailiffs. For your safety and the safety of those around you, swimming in any of the lakes is strictly prohibited. Please be aware that the rules we have in place on the complex are for the future benefit of the angler, the fish and the fishery. This complex is managed by carp anglers and the implementation of the above rules is considered crucial for the long term good of firstly the fish and the fishery itself. In the event of any clarification being required by any angler on the complex in relation to any of the rules detailed above please speak to your bailiff – before casting out! These rules are for the safety and well being of the fish, and the enjoyment of your holiday to Les Quis for everyone. If anyone is judged to breaking any of the rules set out by Les Quis, or deemed to behave in a manner that may offend or intimidate staff or other visitors, we have the option to terminate your stay with us, and ask you to leave the fishery. Please do not put us in a position to have to apply this action !